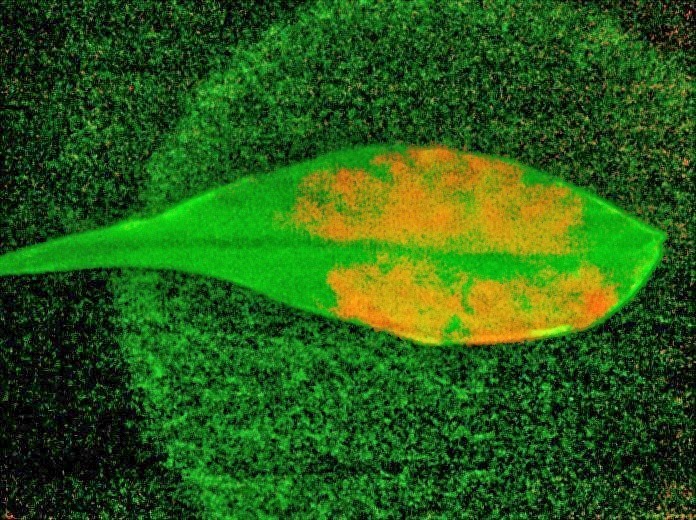 In a new Nature Materials paper, the researchers report boosting plants' ability to capture light energy by 30 percent by embedding carbon nanotubes in the chloroplast, the plant organelle where photosynthesis takes place. Using another type of carbon nanotube, they also modified plants to detect the gas nitric oxide. Together, these represent the first steps in launching a scientific field the researchers have dubbed "plant nanobionics." "Plants are very attractive as a technology platform," says Michael Strano, the Carbon P. Dubbs Professor of Chemical Engineering and leader of the MIT research team. "They repair themselves, they're environmentally stable outside, they survive in harsh environments, and they provide their own power source and water distribution." 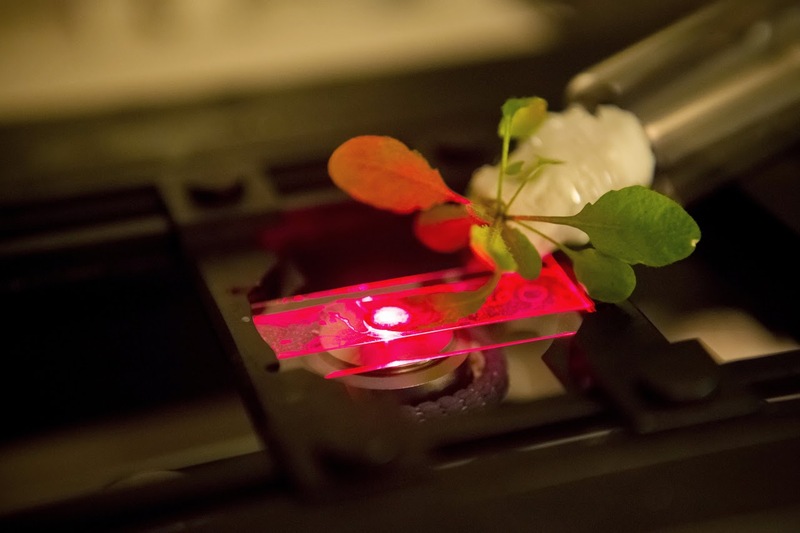 Strano and the paper's lead author, postdoc and plant biologist Juan Pablo Giraldo, envision turning plants into self-powered, photonic devices such as detectors for explosives or chemical weapons. 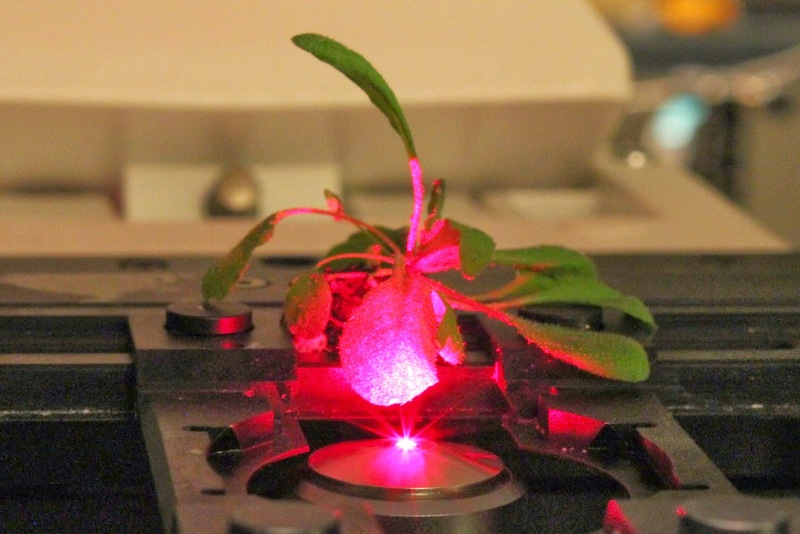 The researchers are also working on incorporating electronic devices into plants. "The potential is really endless," Strano says. The idea for nanobionic plants grew out of a project in Strano's lab to build self-repairing solar cells modeled on plant cells. As a next step, the researchers wanted to try enhancing the photosynthetic function of chloroplasts isolated from plants, for possible use in solar cells. Chloroplasts host all of the machinery needed for photosynthesis, which occurs in two stages. During the first stage, pigments such as chlorophyll absorb light, which excites electrons that flow through the thylakoid membranes of the chloroplast. The plant captures this electrical energy and uses it to power the second stage of photosynthesis building sugars. Chloroplasts can still perform these reactions when removed from plants, but after a few hours, they start to break down because light and oxygen damage the photosynthetic proteins. Usually plants can completely repair this kind of damage, but extracted chloroplasts can't do it on their own. To prolong the chloroplasts' productivity, the researchers embedded them with cerium oxide nanoparticles, also known as nanoceria. These particles are very strong antioxidants that scavenge oxygen radicals and other highly reactive molecules produced by light and oxygen, protecting the chloroplasts from damage. With carbon nanotubes appearing to act as a "prosthetic photoabsorber," photosynthetic activity measured by the rate of electron flow through the thylakoid membranes was 49 percent greater than that in isolated chloroplasts without embedded nanotubes. When nanoceria and carbon nanotubes were delivered together, the chloroplasts remained active for a few extra hours. Yet to be discovered is how that extra electron flow influences the plants' sugar production. "This is a question that we are still trying to answer in the lab: What is the impact of nanoparticles on the production of chemical fuels like glucose?" Giraldo says. Strano's lab has previously developed carbon nanotube sensors for many different chemicals, including hydrogen peroxide, the explosive TNT, and the nerve gas sarin. When the target molecule binds to a polymer wrapped around the nanotube, it alters the tube's fluorescence. "We could someday use these carbon nanotubes to make sensors that detect in real time, at the single-particle level, free radicals or signaling molecules that are at very low-concentration and difficult to detect," Giraldo says. "Right now, almost no one is working in this emerging field," Giraldo says. "It's an opportunity for people from plant biology and the chemical engineering nanotechnology community to work together in an area that has a large potential."